Ten years have passed since the fall of Communism. B., a writer of great repute - whose birth and survival in Auschwitz defied all probability - has taken his own life. 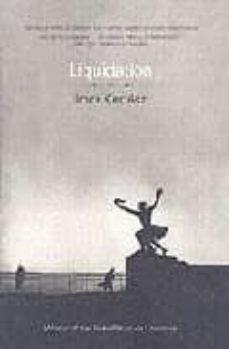 His friend Kingbitter discovers among his papers a play entitled Liquidation, in which he reads an eerie foretelling of the personal and political crises that he and B. 's other friends now face. Having survived the Holocaust and the years of Communist rule, having experienced the surge of hope that rose up from the rubble of the Wall, they are left with little other than a sense of chaos and an utter loss of identity. Kingbitter's find precipitates a frantic search for the novel that B. may or may not have left behind. That B. was having an affair with Sarah, one of Kingbitter's companions, while Kingbitter himself was having an affair with B. 's ex-wife Judit, serves only to complicate matters further. This is an intricately layered story of history and humanity - powerful, disturbing, lyrical, achingly suspenseful and brilliantly told.